About Nicole Lazzaro, RPA-C: Dermatology and Skin Surgery Center of Princeton – John E. Vine, M.D. Nicole K. Lazzaro, RPA-C is highly experienced in treating patients of all ages, skin types, and backgrounds. She specializes in all general dermatology concerns, including, but not limited to: acne, rashes, eczema, psoriasis, warts, dry skin, hair loss, skin infections, pigmentation changes, infant and pediatric dermatology, skin cancer screenings, and removal of skin growths. Nicole holds a Bachelors of Science from Penn State University and a PA certification from Hofstra University. Prior to joining our practice in 2014, Nicole spent four years working in busy dermatology practices in New York. 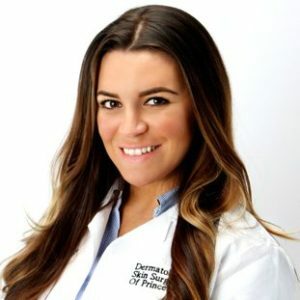 She is a member of several Physician Assistant organizations.